A dramatic story about illegal moldavite hunters is being made into a movie. The film Zloději zelených koní (The green horse thieves) is based on Jiří Hájiček’s novel and is directed by Dan Wlodarczyk. The largest Czech moldavite found? At present, the largest known Bohemian moldavite weighs about 142 g. However, it may not be true anymore. December 26, 2015 in News. He and his friend dug for moldavites near the village of Nesměň. In the evening, his friend went home and the man carried on by himself. He was in a shaft at a depth of 2.5 meters below the surface. 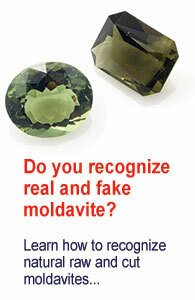 I’ve finished the promissed ultimate guide How to tell a real moldavite. I have finished the manuscript of ultimate guide with detailed instructions about how to recognize a fake moldavite from an authentic one. June 30, 2015 in News.